Corky, a female orca, is the longest held captive orca in history. On December 11 of this year it will be 48 years since she was forcibly removed from her family and the ocean environment and then taken to the harsh reality of a life imprisoned in a concrete tank. When Corky was captured in 1969 at the age of approximately 4 years very little was known about orcas. Not even the fact that they form closely bonded family groups within which member remain for their entire lives. 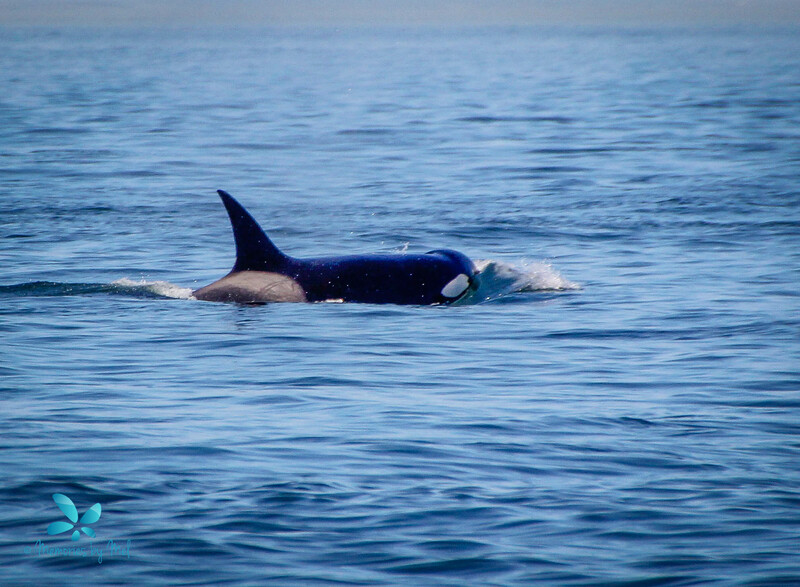 Corky’s family in the wild is known at the A5 pod (northern resident population) of British Columbia, Canada and she still has close and distant relatives living free who she knew as young orca, as well as siblings she has never known. Her mom, A23 known as Stripe, died in 2000 at 53 years of age. Corky had a brother A27 Okisollo also deceased, her living family currently consists of a younger sister, A43 Ripple, a niece A69 Midsummer and a young brother A60 Fife, all of whom she has never met. 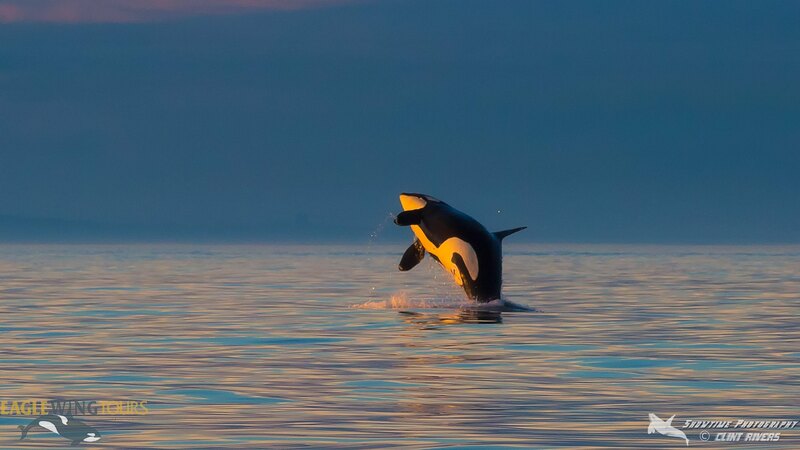 Corky was captured on December 11, 1969, on that evening her pod chose to enter Pender Harbour on the Sunshine Coast of north of Vancouver, British Columbia. Word had reached a group of local fisherman that there was a group of whales nearby and they were aware that the whales meant a big pay day (since there was a capture the previous year in the same area). The fisherman located the whales, encircled part of the pod with fishing nets and battled to keep the nets in place and afloat overnight. The following morning, half of Corky’s pod was trapped inside the net, with remaining pod still on the outside, who were then surrounded as well. 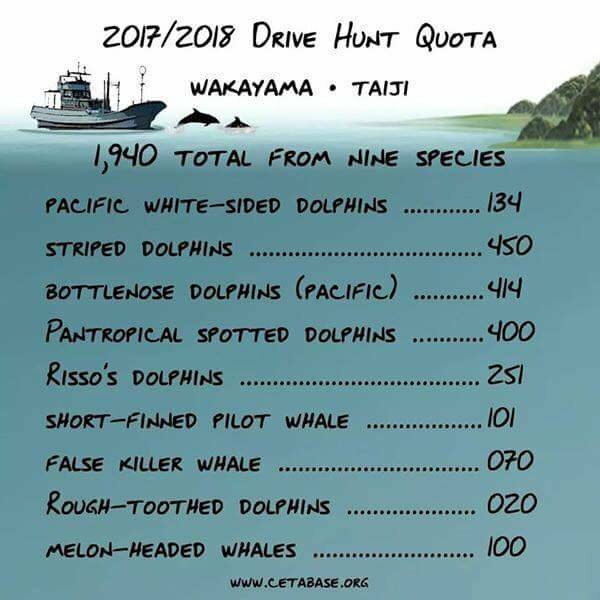 Six whales from Corky’s pod were selected by buyers and the remaining six were released but did not immediately leave the area. This would be the first time Corky was separated from her mom and the last time she would see her. After being selected for captivity Corky was moved into shallow waters, where divers got into the water and positioned a sling around her body, with holes for her pectoral fins. A crane then slowly lifted Corky’s sling out of the water and hoisted her into a truck. Removed from the weightless experience of the ocean, Corky’s own weight would have been crushing down on her. She made the long journey from British Columbia by truck, plane, and another truck before her final lift into a circular tank at Marineland of the Pacific, near Los Angeles, California. The moment Corky’s freed was stolen her world was suddenly and drastically changed. Now, movement was restricted by never changing dimensions; concrete walls replaced the cliffs, rocks, caves and kelp forests of the vast and limitless ocean. There was no longer anywhere for her to explore and her choices were limited. Gone now were the familiar sounds of the sea; instead, there was the constant drone of filtration systems, and anytime one of the whales in the tank called, their sounds reverberated off the barren walls. There would be no more waves, no currents, no fish to chase and hunt, no dolphins or porpoises to play with – Corky’s entire life was forever changed. The sameness was relieved marginally by the companionship of 4 other member of Corky’s family, 2 were captured with her and 2 the year before. Unfortunately that soon ended, after 1 year Corky I died and Corky was given her name, and Patches dies in 1971. 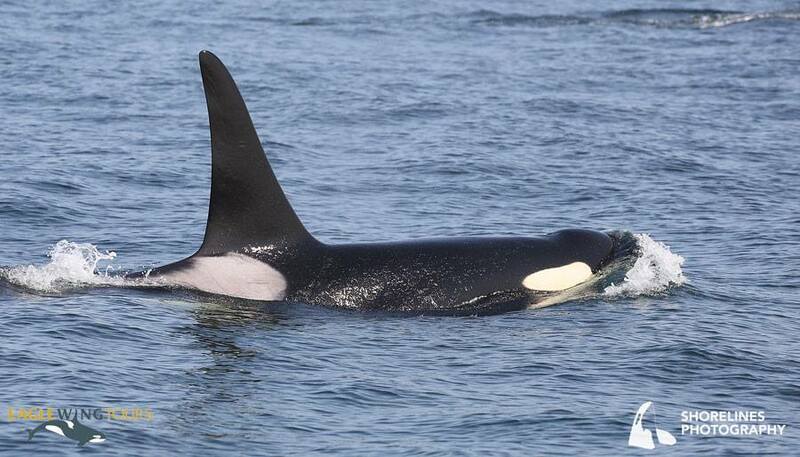 A male orca who was never named died in 1972 and from then on Corky and a male cousin named Orky, who was captured in 1968, were by themselves. 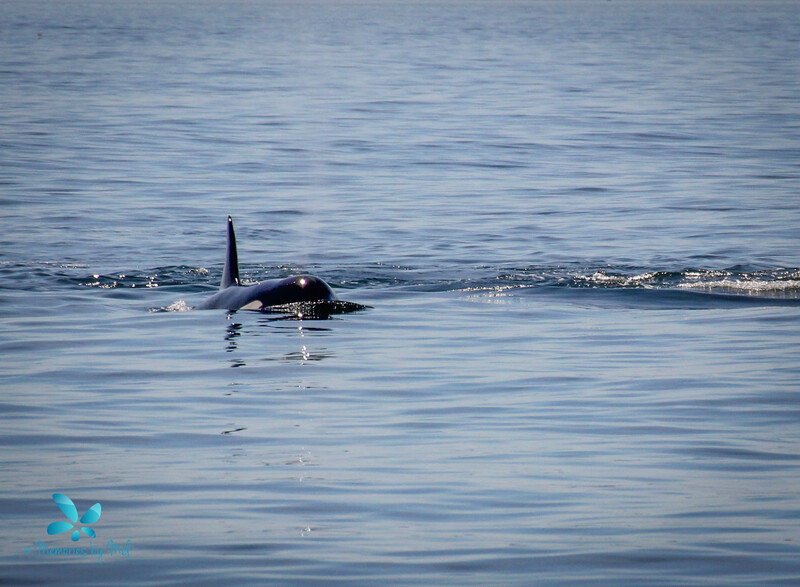 Corky is now the sole survivor of all the orcas captured from the northern resident community of British Columbia orcas. Around the age of 11, Corky began to sexually mature and on February 28, 1977 she delivered her first calf, a male. This was the first live orca to be born in captivity. Orky (Corky’s cousin) & also the father of all her calves, helped the calf to the surface after a difficult birth. The situation grew tense when the calf failed to nurse and the staff of Marineland had to intervene and force feed the calf several times a day. Despite these efforts, the calf lost weight and eventually died of pneumonia, after living for just 16 days. Corky was pregnant a total of 7 times and the longest any of her calves live was 46 days. All of Corky’s calves failed to nurse properly, even though Marineland staff made a dummy calf in an attempt to teach Corky to position herself appropriately. 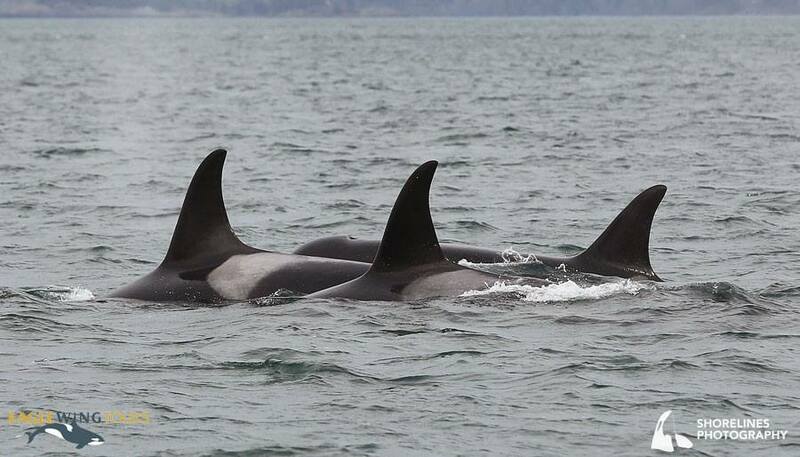 In the wild Corky would have been taught this fro her mother and other females pod members. Corky gave birth to one stillborn calf and her last pregnancy ended when an aborted fetus was found at the bottom of her tank. Finally at the age of 21, Corky stopped ovulating. In the wild, Corky would probably have had several calves and most likely be a grandmother by now. A female orca in the wild will typically have 25 productive years during which she may give birth to 4-6 offspring. In December, 1986, 17 years after Corky’s arrival, Marineland and its surrounding lands were purchased by Sea World’s corporate owner, the U.S. publisher Harcourt Brace Jovanovich, for a rumoured $23 million. Corky was then transferred to Sea World in San Diego where she became Sea World’s main performer, “Shamu”. Shamu is the SeaWorld trade name for its orcas. The name has been passed from performer to performer. Corky’s physical condition has fluctuated over the years. At one point, Sea World listed her condition as “poor”, perhaps because her kidneys were not functioning well. Her lower teeth are worn and she is almost blind in one eye. Sea World considers Corky as an “old” animal and tells visitors that orcas only live to about 35 years. They used to say 30 years. For a while, Sea World even decreased the number of shows Corky did, but now she is back doing a full schedule. When she is not performing, Corky is held in one of the back pools with the other orcas. She spends most of her time simply circling her tank. During her time in captivity, Corky has experienced some social difficulties, most notably with an Icelandic orca named Kandu V who appeared to be jealous of Corky. Over the years, there had been a lot of tension between the two females. Then, in August 1989, just as their public show was beginning, Kandu rushed out from the back pool and charged at Corky. In the attack, Kandu fractured her jaw, a bone fragment severed an artery and she bled to death. No one had ever seen or heard of an orca attacking another orca before. Kandu’s daughter, Orkid, was just one year old at the time and, in an odd twist of fate, Corky became her surrogate mother. Back in the wild, Corky’s family carries on. The A5 pod originally had 18 members but the 7 who were removed in the 1968 capture all died and one entire matriline was lost. Of the six taken in 1969 only Corky survives. Slowly over the years, as their fortunes waxed and waned, the complexion of the wild pod has changed. Despite the losses, the pod appears strong, and its members still love to hunt big Spring salmon when they travel the waters of Johnstone Strait, Blackfish Sound and the rest of the Inside Passage. But they have never been seen near Pender Harbour again. The time left for Corky to reconnect with her family is disappearing. She has already survived longer than any other captive orca. This tells us that Corky is an incredibly strong individual… but no one, no matter how strong, can last forever. 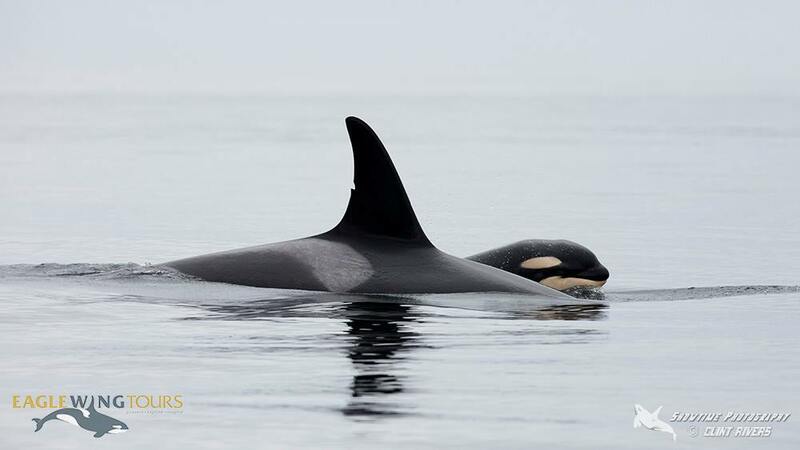 When it comes to the Southern Resident Killer Whales (SRKW) a year has made all the difference in the world. 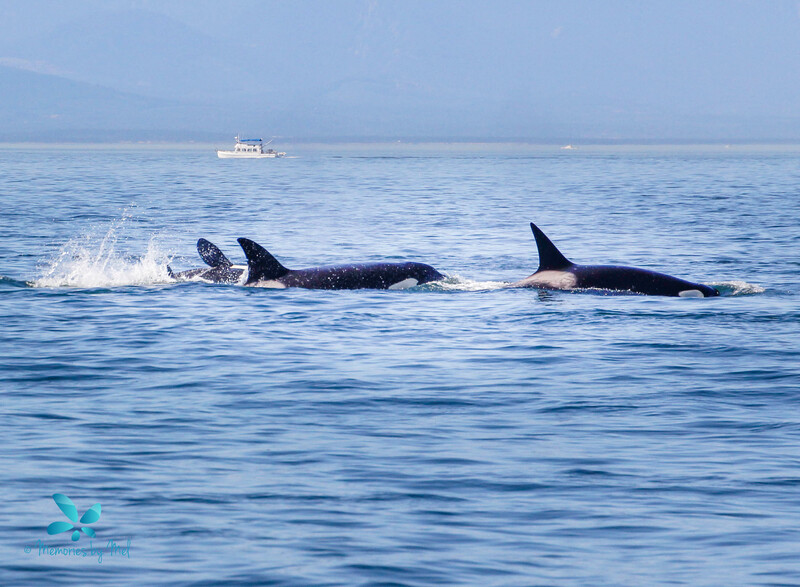 Last year at this time, we were all celebrating a remarkable baby boom, with 8 new orca calves over the previous 12 months & another new baby was added in January 2016, for a total of 9. However, if 2015 was considered the baby boom year, then 2016 was the exact opposite with a total of 6 orca deaths recorded during the calendar year. Then the announcement on January 2, 2017 of J2 Granny’s presumed death as of December 31, 2016. 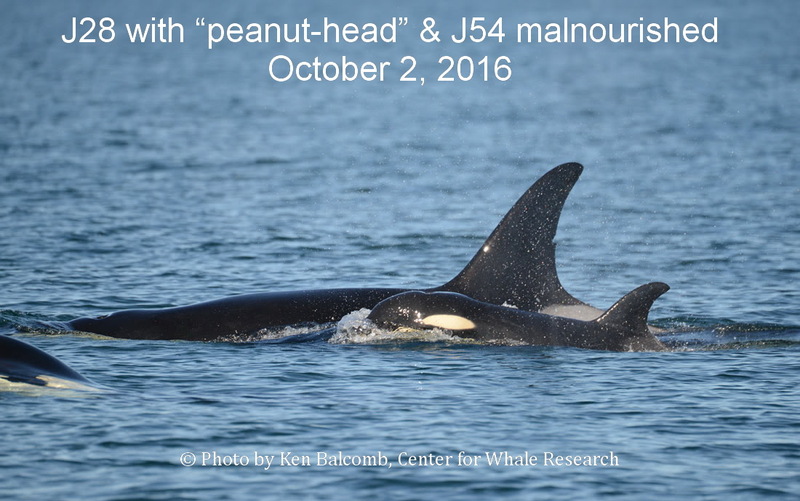 J2 Granny was last seen by the Center for Whale Research on October 12, 2016. J28 Polaris and then her baby son J54 Dipper. Continued education for younger generations-the next group of Salish Sea ambassadors!! Ongoing efforts to foster & promote ethical boating etiquette amongst all user groups: fishing – both private and commercial, kayaking, sailing, seaplanes, cruise ships, freighters, ferries, etc. 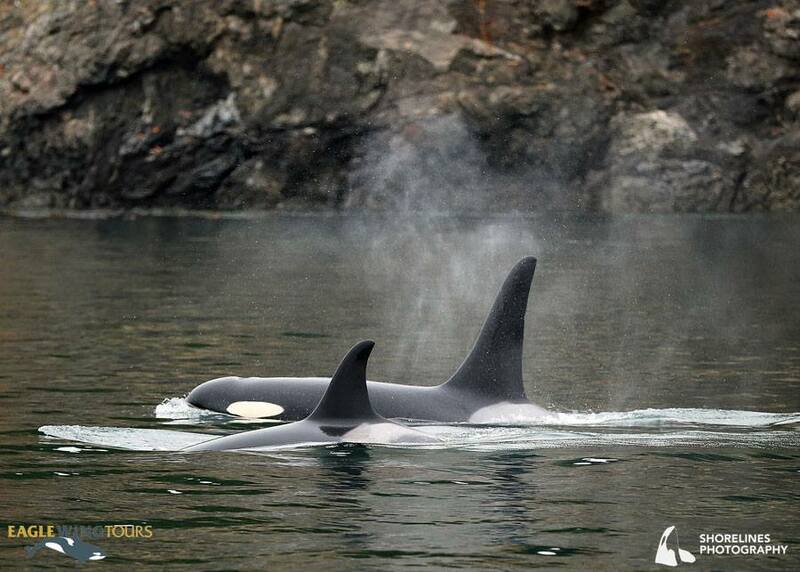 Her loss is made even more tragic by the additional loss of her most recent calf J54. At less than a year old and still nursing, his survival is unlikely without his mother to feed him. He was last seen on October 23 and is now presumed deceased. This brings the year’s losses up to 4 (L95, J14, J28 and J54) and the population back down to 80. More then ever, we need to look toward more fish as the primary solution in saving the endangered Southern Resident Killer Whale Population. 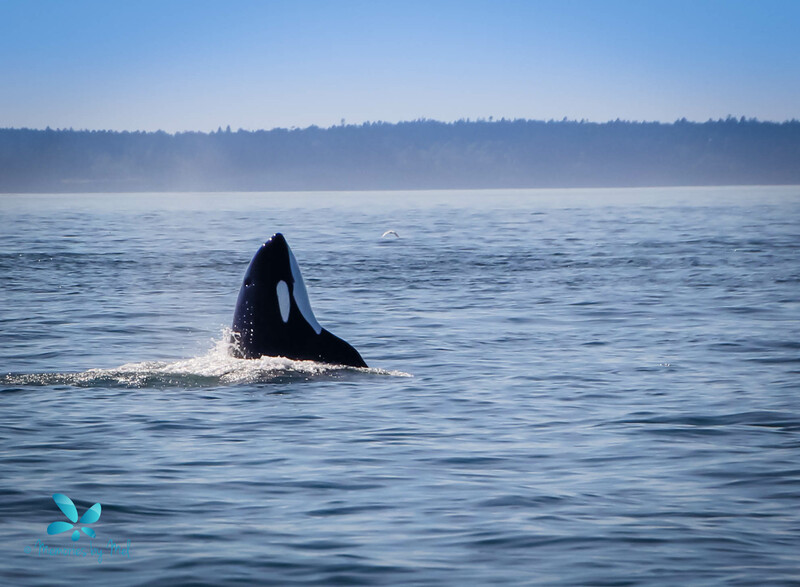 Whale Watching in British Columbia is one of the best places in the world to view orcas, humpback whales, gray whales and other marine species. 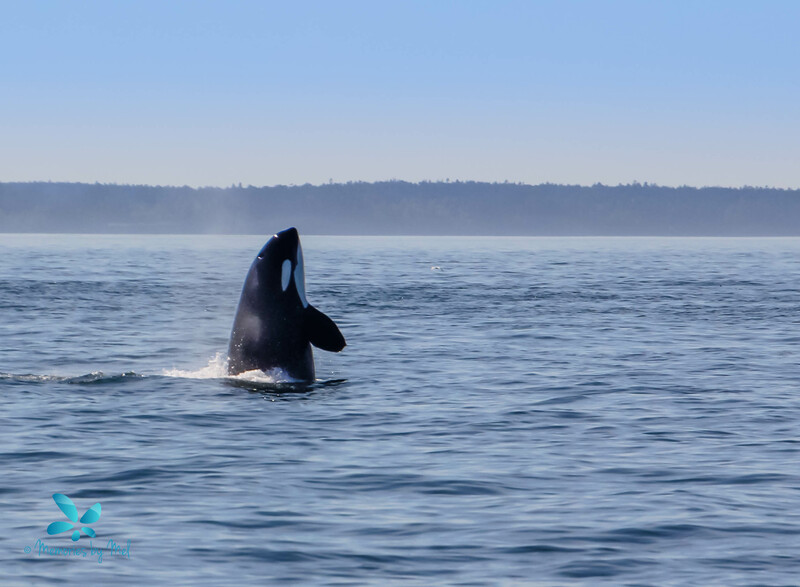 The city of Victoria and in particular the southern tip of Vancouver Island is renowned for orca sightings and is the ultimate destination for BC whale watching. Victoria is at the centre of the world’s highest concentration of killer whales. It’s perfectly situated in the middle of the southern resident killer whales’ seasonal feeding ground. I spent a lot of time researching whale watching and looked at several different whale watching tour companies in Victoria. I finally decided to book with Eagle Wing Tours. 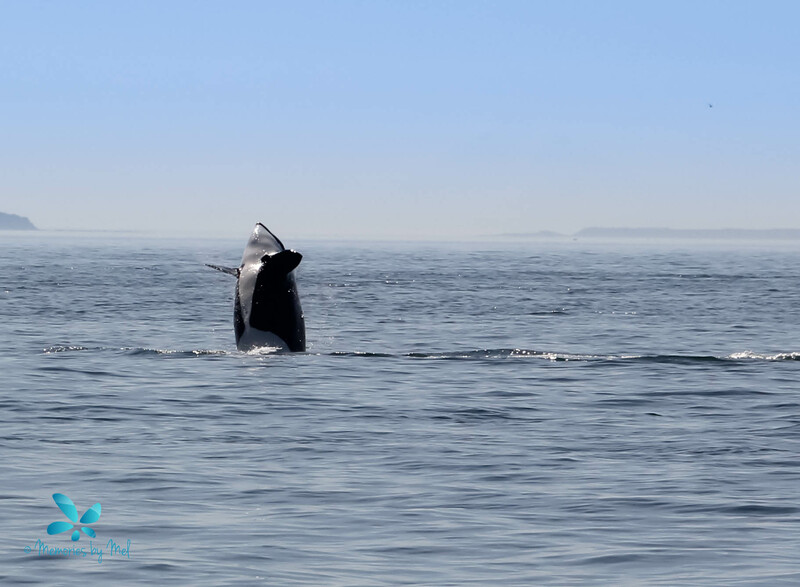 Eagle Wing Tours is Victoria’s first award winning whale watching company and is the #1 ranked whale watching company in Victoria on TripAdvisor. 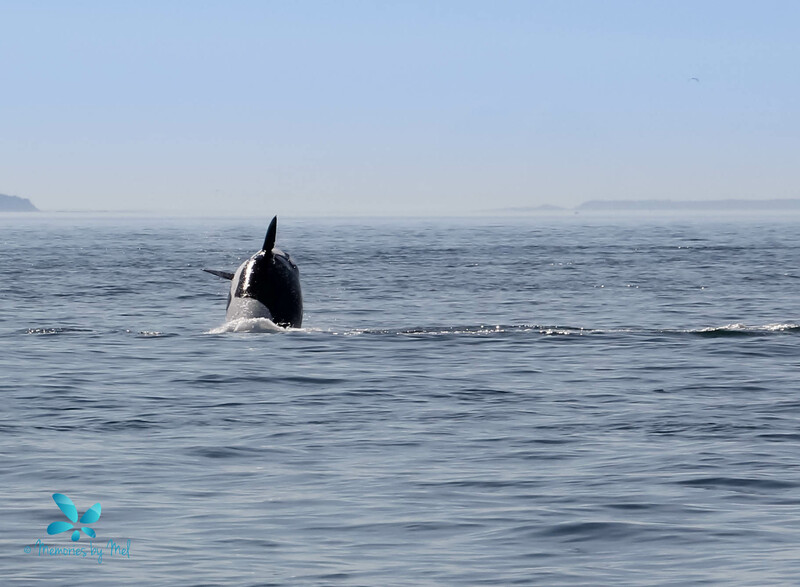 I was unsure of what to expect for my first whale watching tour, but all I knew was that it would be amazing to see wild orcas, even better to see them spyhopping, breaching and if I got to see a baby orca too then that would just be fantastic! Well turns out my first experience would not disappoint and I managed to see all of this in one trip! 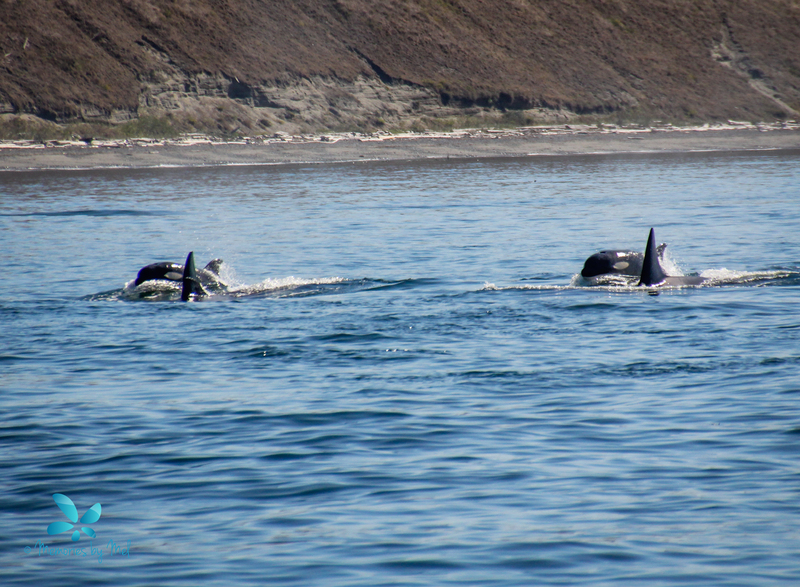 If you ever have the opportunity to experience Orca’s in the wild – just do it! It is by far one of the most exhilarating experiences!